One Minute Miracles is not another self-help book. Written from the heart by Hannilee Fish, currently studying to be a Barrister in the UK, Hannilee has gone through and survived a childhood of trauma. The book offers piercing insights that are fresh and thought provoking and is a simple step-by-step pocket sized guide with forty-nine life changing resources to help overcome the complex problems of life and to expand living. Each miracle is accompanied by a beautiful illustration, and can be used in everyday situations. 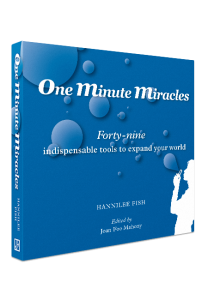 One Minute Miracles is Hannilee Fish’s first book. The book reflects her sincerity and her passion to make a difference to people’s lives. In spite of a difficult childhood, Hannilee has overcome her problems, excelled scholastically, and is currently studying to be a Barrister. She is a member of The Right Honorable Society of the Inner Temple where she plans to practice in Human Rights and use her talents to help others. Hannilee also runs workshops and retreats on ‘Voicing your Power’, ‘Managing Fear’, ‘Freeing Yourself from Mental Health Issues’ and ‘Getting to Your 5%’. She consults, presents and is a key-note speaker. 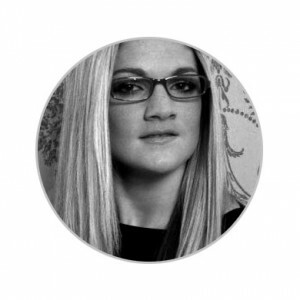 She has coached soccer in the USA, taught business principles to schools, and now – following struggles and conflicts in her own life, Hannilee is determined to use her experience and life-changing results from these One Minute Miracles to empower and encourage everyone to take a step towards expanding their world.